The group, which has featured on multiple national television shows, will perform at Congregation M’kor Shalom. Six13, a groundbreaking a cappella group that became a YouTube Sensation with over eight million views, is coming to Cherry Hill. The group will perform a concert on Saturday, Oct. 28, from 8 to 9:30 p.m., at Congregation M’kor Shalom, 850 Evesham Road. 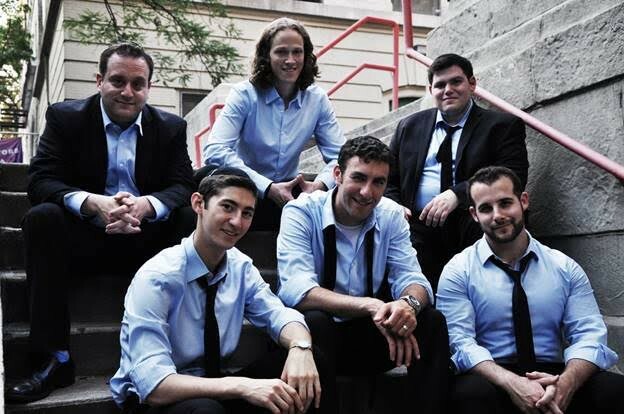 Six13 will bring their unprecedented style of Jewish music to the M’kor Shalom stage with songs ranging from hip-hop dance tracks to rock anthems. The members of the New York City-based group sound like a full band — while using nothing but their voices to create thumping beatbox, intricate arrangements, and soulful harmonies. They’re driven by a mission to connect Jews around the globe with their heritage through music, anchored by a strong Jewish identity. They have been featured on national television and in press like The Today Show, The View, CBS, CNN, Huffington Post, Time Magazine and more. They’ve played the White House, Washington D.C.’s Kennedy Center, traversed New York’s Fifth Avenue in the Salute to Israel Parade, the Chabad Telethon, headlined the North American Jewish Choral Festival three times, and performed seven times for major league sporting events at Shea Stadium, Citi Field, Madison Square Garden and Dolphin Stadium. They are three-time finalists in casting for NBC’s prime-time hit “The Sing-Off”. Music from their seven award-winning albums has been adapted by choirs worldwide and played on mainstream radio across the globe. Bruno Mars liked their Passover version of his song so much, he posted it on his own Facebook page. They have received distinctions and accolades from Jewish organizations like the National Council of Young Israel and Moment Magazine, and awards from musical organizations like the Harmony Sweepstakes and the Contemporary A Cappella Society of America. M’kor Shalom President Steven Angstreich was so impressed with them, he hoped he could bring them to perform at the synagogue and was thrilled they could work out a date.